You're not bringing in an LES, but you can still be a financial asset to the family. Being a military spouse comes with a plethora of stereotypes, obstacles not frequently encountered in the civilian world and unparalleled opportunities. For many individuals whose partners bring in LESs, financial autonomy can become increasingly hinged upon the next PCS. Furthermore, financial autonomy for the non-military member may seem to slip further away if they are not employed, have non-traditional employment such as working from home, or constantly make career changes with every duty station. Establishing a fulfilling career as a military spouse is a common challenge, and PCS moves make maintaining any long-term employment difficult to say the least. Moving every three to five years across the country or globe can leave career-oriented spouses feeling like they don't adequately contribute to the family in a monetary sense, are not fulfilling their vocational potential or even like they have no right to be involved in the family budget. However, being part of a military family provides unprecedented opportunities for financial transparency. It all boils down to communication and seizing those opportunities – taking what appears to be obstacles and morphing them into stepping stones. Within any relationship, communication is the key to a healthy and strong bond. No partnership is perfect or void of struggles, but by keeping open lines of communication, those struggles can be addressed and handled and not become fodder for financial nightmares. When one member of the partnership is in the military, communication takes on a new level of complexity. Not only is every aspect of the family's life contingent upon the military member's contract, but maintaining transparency is a daily hurdle. With so many aspects of military life obscured for security reasons, having a solid foundation of open communication at home becomes even more important. Below are a few areas in budgeting that military spouses can get more involved in. By communicating and making budgeting a collaborative effort, military spouses and their soldiers/sailors/marines/airmen can share the burden of budgeting and equalize the partnership. As a couple, create a budget. Military income may or may not be the family's only income, but that doesn't mean the control of the household budget is limited to the military member. Share financial responsibilities. Be involved in bill paying. If one member is bringing in the majority or all of the household's income, the other can feel more involved by handling revolving finances. Stay up-to-date on daily transactions. By sharing financial responsibility and with both partners watching account balances, financial transparency is much easier. Keeping tabs on all transactions and discussing them can help make sure everyone involved is on the same page. 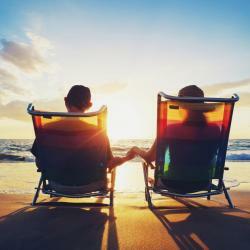 Make large financial decisions as a couple. Discuss financial moves and purchases together. Taking advantage of online budgeting and banking applications. The downside of traditional paper banking limits the accessibility of family members that are apart. 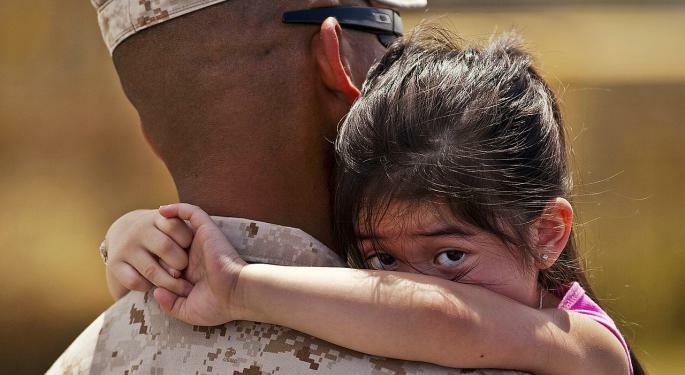 For military families especially, deployments can make keeping up with financial transactions almost impossible without online components and shared online accounts. Take advantage of military community services offerings (e.g., ACS, Army Community Services) such as financial classes on investing, home purchases, budgeting. These offerings are free for service members and their families. Look at military retirement savings options (TSPs). Know how they work and make sure you are contributing regularly. Be aware of military overhauls at the federal level. For example, military retirement savings offerings have come under scrutiny recently and changes may be forthcoming. Take advantage of ER loans – emergency relief loans – if the situation arises. Look into military specific banking services or credit unions. 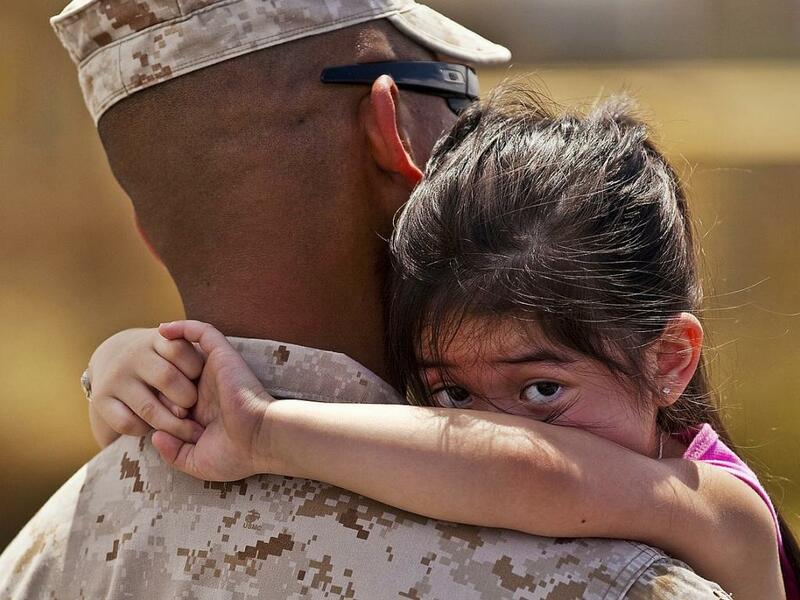 These institutions cater specifically to the military demographic and often offer better rates for military families, help with bill paying emergencies (e.g., crediting late charges for extenuating circumstances), offer car buying assistance among other financial assistance programs. Be aware of the Service Members Civil Relief Act and take advantage of its protection if need be. The SMCRA offers assistance to military families, limits interest rates for military members on certain loans and provides protection for contract breaches when necessary because of military orders (such as breaking a lease before the contract expires because of a last-minute PCS change or deployment). While the first pieces of advice are important and applicable to all couples, they are especially relevant to military families who face the probability of deployment. Without a foundation of financial transparency and open communication, household financing can become a financial nightmare for the spouse who stays stateside. With limited and unpredictable contact with the deployed, financial responsibilities are often shifted entirely to the non-military spouse. By establishing a partnership based in financial transparency, shared responsibility and open communication, military families can weather life's storms more easily. If you or your loved ones face financial difficulties, reach out to your financial advisors on or off base and take control of your financial situation. Ignorance does not excuse or negate financial blunders. Increase your financial literacy and take advantage of services available. Become your own best financial advocate.